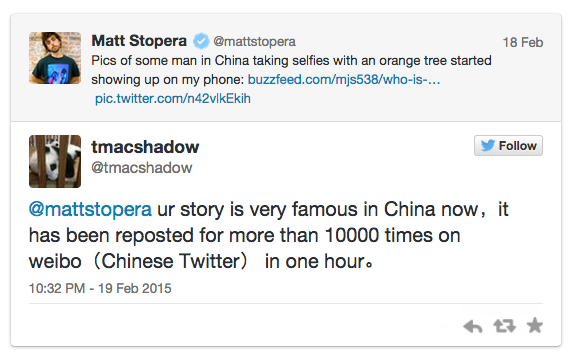 When Buzzfeed writer Matt Stopera found a picture of a man posing with oranges in his iCloud account, he was stumped. 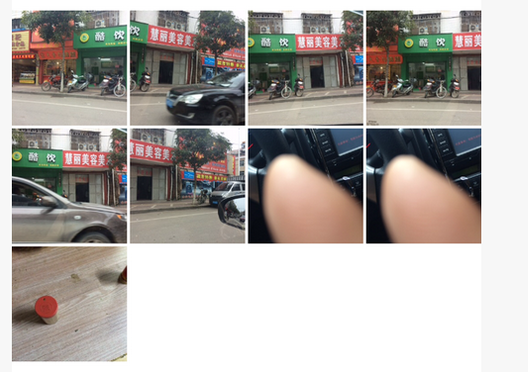 What began as a stream of selfies in front of an orange tree was followed with hundreds upon hundreds of photos of fireworks, and random pictures of a place that could only be China. Matt, however, lives in the US. He eventually found out that it was because his old iPhone — one that was stolen months ago in a bar in the East Village — had somehow made its way to China, and into the hands of this other man. And since this iPhone was still synced to his iCloud, he essentially had a glimpse into the life of this man. 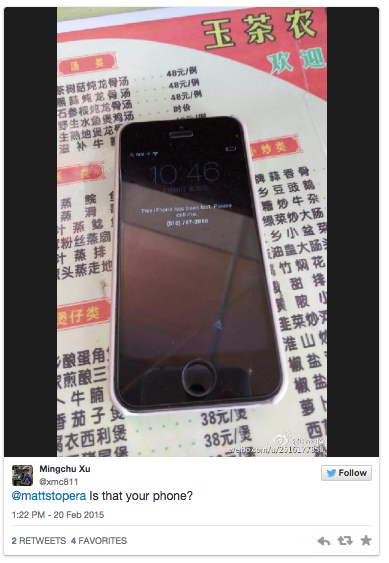 So he went to the Apple store and had the account unsynced, and that was it. As a writer, Matt naturally wrote about it on Buzzfeed. 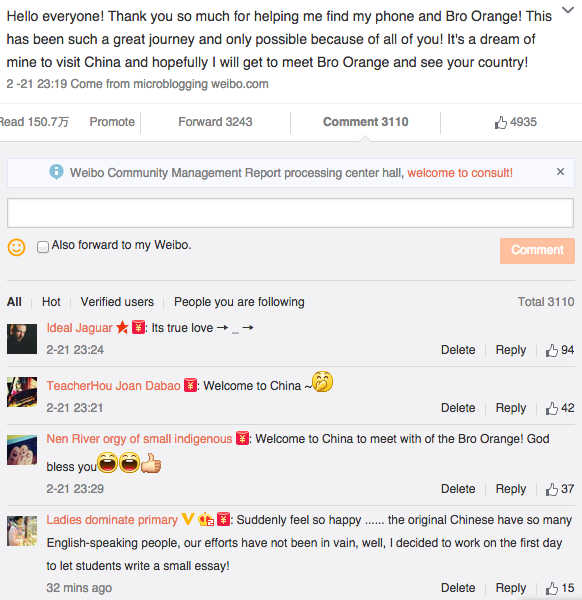 But with so many photos taken by the person now dubbed “Orange Man”, the article attracted thousands of Chinese, and the story soon became viral. 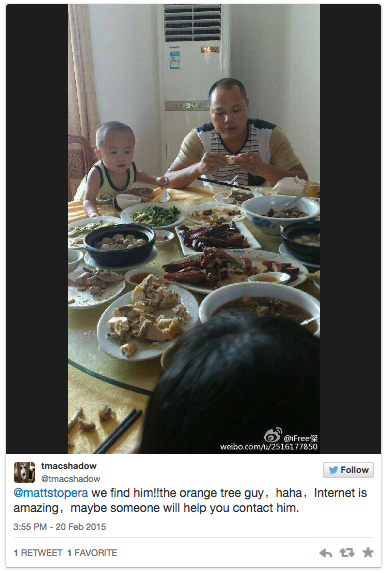 In a strange twist of fate, the man who woke up one day to find thousands of mysterious photos in his iCloud account became a minor Chinese celebrity overnight. 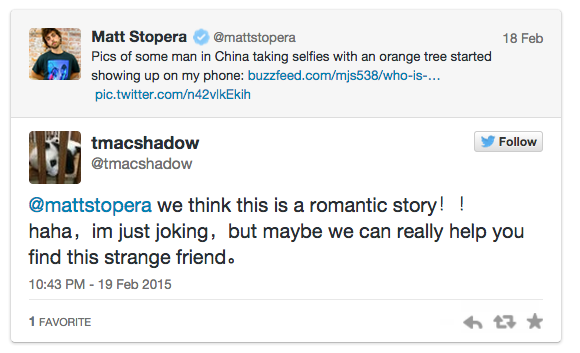 And it didn’t stop there: Matt’s Chinese fans began searching for the “Orange Man”, hoping to connect the two in what was quickly escalating into a cross between a strange and quirky relationship, and a match made in heaven. 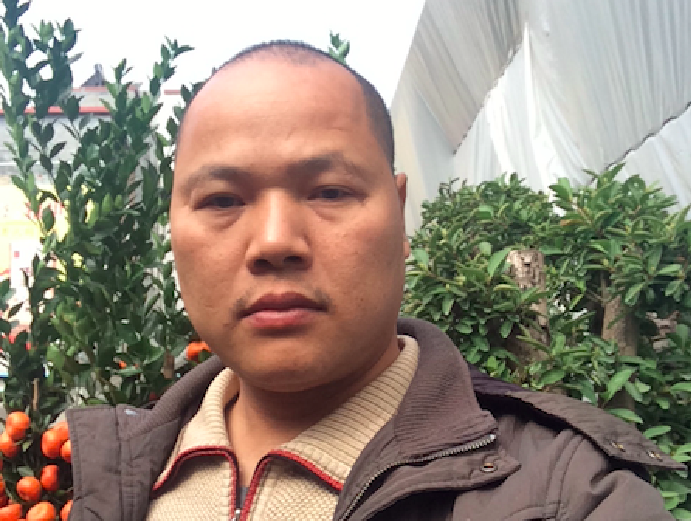 They managed to pinpoint the man’s location as being somewhere in Guangdong, China, and eventually, someone found him and managed to contact him. 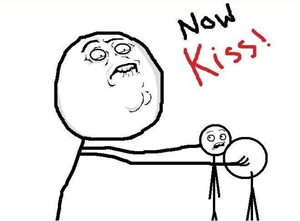 Thousands of Chinese watched the story unfold with bated breath, hoping for the two to eventually meet. And they even found his phone! 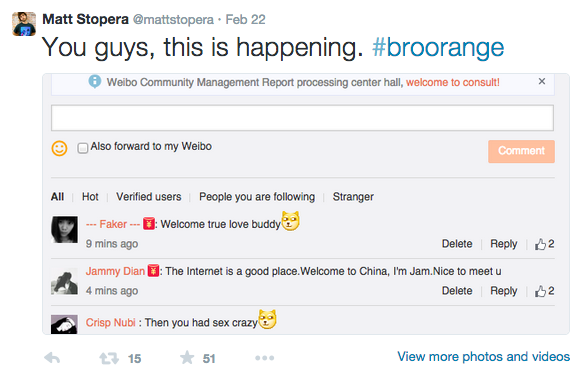 And because there are a lot of restrictions on Twitter in China, Matt was asked to get a Weibo account to connect with Uncle Orange, or as he preferred, Bro Orange. And Bro Orange has even released a statement, albeit in English so awful it could only be the work of an online translator. Watching the story unfold — and yes it is still unfolding — is a beautiful and serendiptious event. And for all the negative energy and trolls present on the Internet, it’s nice to know that in some unexpected corner of the web, a chance encounter is uniting people from across the world. Even if it all began from a stolen iPhone.